It has been three weeks since I announced my return to AndroidPIT. Even though I haven’t written any new articles until now, a lot has been happening here. We thought you might be interested to know what we’re working on – and what you can expect from AndroidPIT in the future. AndroidPIT has experienced significant growth in recent years. Each month, around 23 million people visit our websites. We are among the most-visited technology websites worldwide. The industry has changed a great deal in recent years. Where there were once many tech blogs, today only a few remain. Besides these, everything is now firmly in the hands of large, established publishing houses or advertisers. Not without self-confidence and pride, we can say that we sit alongside these same companies as one of the last remaining major tech sites. Until now, our editors had been part of country teams fixed according to various languages. Our German editors worked on the German site, English-language editors on the .com domain, and so on. The downside: each country had to ‘cook its own soup’ and decide how to get good content on its site; a challenge, considering that you can’t find Android experts of various mother tongues easily. Often, editors would choose to translate content from other AndroidPIT sites. This was, and still is, a challenge. How should you go about translating text from Portuguese? Sure, tools like Google Translate can help. But, all too often, context is lost or inaccuracies appear. The idea of a global editorial team is intended to counteract this problem. Instead of having to find experts for each country, our editors now work in newly created teams. One team creates content to acquire new readers. Another specializes in content for our regular readers – and for those who want to be. A third team concentrates on news. With a focus on content in a specific area, each group can better concentrate on quality while learning from one another. The major challenge is, and remains, content supply for the local domains. That is what our ‘Curation team’ will look after. This team’s task is to request article translations or adaptations and to schedule content plans. As previously mentioned, it's an experiment, one that we’re pursuing with great vigor, confidence and positivity. It’s necessary to produce more than 200 items per week to monitor and ensure effective and efficient distribution… Granted: it doesn’t yet run perfectly. But the fact is: we at AndroidPIT will do everything we can to offer you the best content regarding Android and relevant accessories. This is a promise our editorial team will keep. Not only do our editors carry their share of contributions to these changes, but all our other teams are working hard with them. For example, our product team has set its focus on new community products and on our websites. For fans of our app: we have decided to pause our work on it in order to offer the entire AndroidPIT community new products – and to also say goodbye to the same old things that you’re (probably) not missing. The Wiki, for example. Or app profiles. The concentrated use of resources should benefit our now almost 6 million registered users. Before misunderstandings arise: of course, not all of these users are active. As with all services like this, there are quite a number of people who have registered at AndroidPIT but who are no longer really active. Our product team has been working for months to develop new products to encourage new and old AndroidPIT members to participate in this great community. In addition to a fresher design for our product pages and homepage, this year there are also ‘modules’ in our articles that allow you to interactively discuss ideas and themes. Please do not think of these as our comments section: we want to take this a few steps further. AndroidPIT has always been known for its strong community. We owe a lot to it, and we want it to feel like that – a real community – again. This year we are not only investing in higher quality content, but also in new staff members who will ensure that our forums and comment sections fit the tone we are looking to foster. It’s not only good and exciting products that are important for quality. It also depends on what you have to say. And, of course, how you say it. AndroidPIT should be a place for friendly exchanges, a place for a community where each individual opinion – your opinion – counts. It’s important to have a variety of thoughts and ideas. That is ultimately what makes a community, and the exchanges within it, so exciting. 2016 is an exciting year with many changes for us. We will do everything we can to be your favorite technology site. Nice Change. Great Job... Does app has ability to show user status? Still, there is an immense challenge facing for this app. Nevertheless it has great coverage of news both in hardware speculations and as well as in apps. It does not share the same point system as in the desktop. What do you mean with "does not share the same point system"? I mentioned this earlier. It means that in the desktop version there is this level system next to each user, where if you comment something or get upvoted: you get these points to eventually level up. That very function is lacking in the app, and I think if it was implemented there, a lot of the users in the community, including myself: would be very thankful for that small touch. I think s/he means that within the App you don't get any feedback on the points you earn through your contributions. Sometimes small things from the far are really complicated if you have a closer look. "Sometimes small things from the far are really complicated if you have a closer look. Unfortunately." I'm sorry, but... What does that even mean? It means that this change does actually cause a lot of work and would bind resources we actually do not have. But we will consider it again in 4-6 months. I know - or at least I can understand - that this might sound not promising enough. 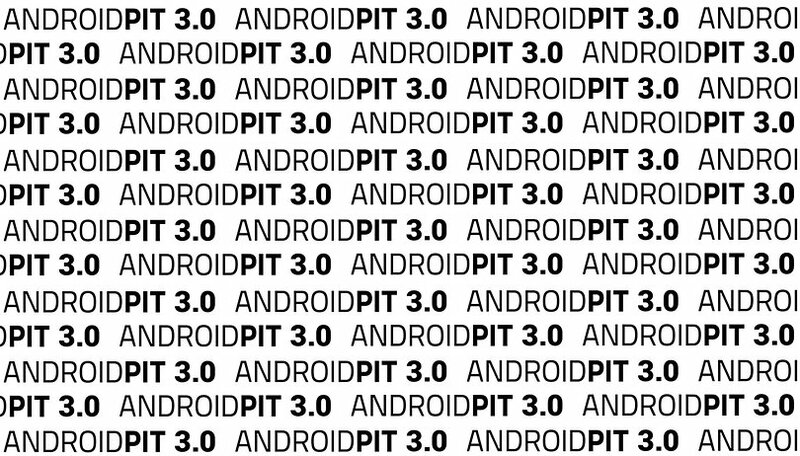 But please believe me that we all here at AndroidPIT are willing to give you the best experience possible. Actually, I just wanted to give a suggestion nothing else. This would help you to maintain your community and in-return generate your ROI with no. of downloads. Androidpit is far more ahead to stay updated with latest news and articles. Frankly speaking, it is helpful and far more relevant to our website and having best experience here. And yes good luck for your work. Just yesterday I actually discovered that there is this barrier in different languages on AndroidPit. Users are divided but you can still sign in at all the "versions" of AndroidPit apparently. Regardless, I look forward for the future of AndroidPit and hopefully a stronger version of the app! Points and a level system on the app, please. Hi Fabien, that all sounds great, but I don't get why you kept mentioning how all these changes will be new for 2016 when we're already half way through July. True that half of 2016 is done. But the team is working on a lot of issues for several months now. Finally, there are a couple of things ahead and we will see changes (hopefully) soon.